Rubber Encased Dumbbells, 12 Sided, Set of 5-100 lb. Home » Sports Performance & Fitness » Strength » Bells » Dumbbells » Rubber Encased Dumbbells, 12 Sided, Set of 5-100 lb. 12 Sided Rubber Encased Dumbbells, Set of 5-100 lb. 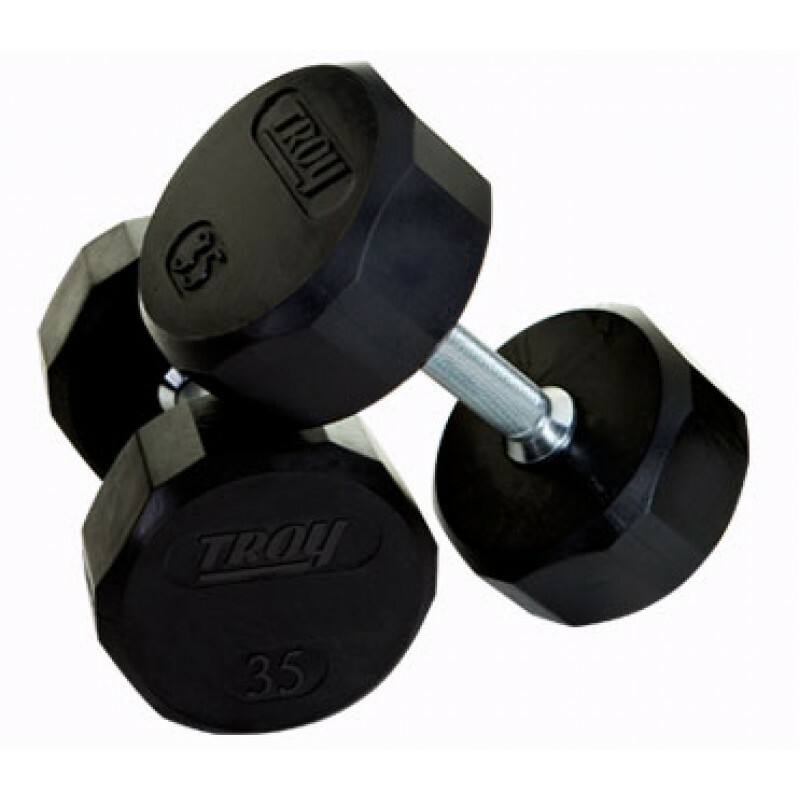 These “Quiet Iron” rubber encased dumbbells are top of the line, absolutely the best bar none! Made from only the highest quality materials, our TSD-R dumbbells will stand up to the most strenuous of work outs. We make these dumbbells with all steel chrome handles and only virgin rubber which helps reduce noise and protect floors and equipment. Perfect for any club, gym or home.